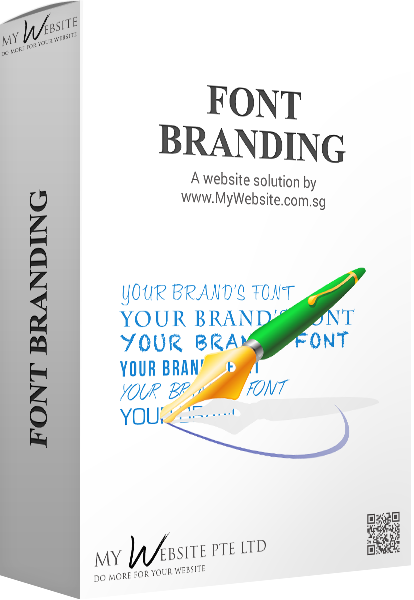 Does the fonts on your website reflect your business? There are many aspects to your brand image: logo, corporate colours, mascot, and many others. One of the most under-rated is the font. Choosing the same fonts on your name card, website, brochure, email etc, will create consistency and a more professional image, throughout your documents and make your brand, i.e. your business, more memorable. In addition, there is a lot of fonts that are overused in the internet, and people get bored seeing them, thinking, "it's just another website with the same font". You wouldn't want that kind of thinking to be associated with your business- and we will be able to assist you on that. Check out the video to see what a difference fonts can make or break to your brand image.